Teen suicide is a growing health concern. It is the second-leading cause of death for young people ages 15 to 24, surpassed only by accidents, according to the U.S. Center for Disease Control and Prevention. 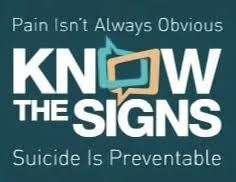 Suicide is a relatively rare event and it is difficult to accurately predict which persons with risk factors will ultimately commit suicide. This training unique workshop on suicide prevention and awareness is unlike traditional training sessions, we will be providing a live performance of FREAK.